A battery is an important part that is useful in any electronic device (like vehicles, marine boats and deep cycle boats) for the start-up power. It gives the needed power for ignition and electrical lighting. The battery is measured in Ampere-hours, which helps to indicate the energy storage capacity. Though for any of the electronic device, the battery may be small in size, it generates power that provides a massive impact. On the average, a well-constructed battery has a life expectancy of 4 to 7 years, and during that period it will help to keep the electric flow of any electronic device, especially that of cars, in a very stable condition. The Optimal Batteries company was established in 1995 and its headquarters are located in Aurora, Colorado. 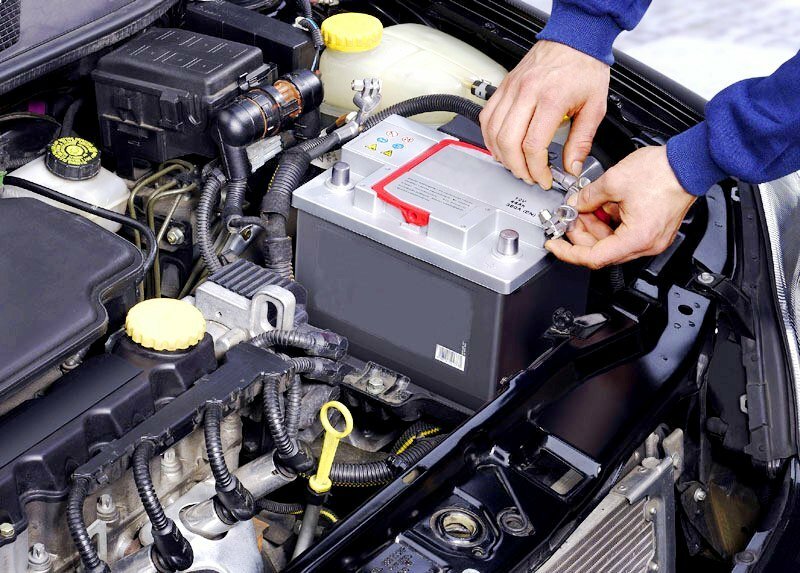 The company constructs automotive and marine batteries for customers around the world. The company’s batteries are used for commercial, military and agricultural applications. They have major distributors and retailers in U.S.A, Mexico, and Central America. They also operate as a subsidiary of Johnson Controls International Plc. In 2017, the company added more dimensions to their product unit with the introduction of H6 and H7 DIN fitments. The company also introduced the first maintenance-free lead acid batteries with high performance for commercial and military use. They also produced the first digital battery charger and maintainer. Here is a quick review of one their battery. The Optima dual purpose battery offers the best performance in the automotive industry. The dual yellowtop battery won’t disappoint you on a cold night or during emergencies when you need to get this done. The battery has a good cranking intensity and top of the line cycling potential. This battery is portable and small in size but has the power to mount other larger batteries in smaller boats or cars with limited space. It has 36.4 pounds weight with a dimension of less than ten by seven inches. The battery has 650 cold cranking amperes, which makes it powerful enough to start a small motor. The battery also has a 98 minutes reserve capacity for constant performance with optimal starting power even in bad weather. The battery is excellent for applications requiring recurring amperage drain and fast recharging, like trucks with winches, commercial or public safety fleets, and cars loaded with electronics and accessories. 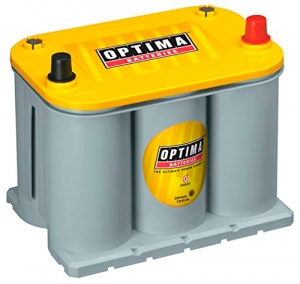 Optima Batteries 8040-218 D35 YellowTop Dual Purpose Battery is a Deep-Cycle 12-volt battery with a high-performance. 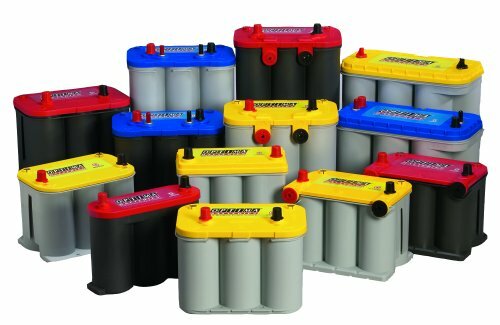 The YellowTop Dual Purpose Battery is a spill-proof AGM battery, which can mount in most positions due to its high resistance to vibration and ability to recharge faster than any other standard battery. It provides cleaner and higher power performance for car audio systems with a good life expectancy of times longer than the standard battery. It is also cost-friendly and with a pickup in-store of 30 minutes. The battery is the best in the market that offers high performance at a budget-friendly price. With an average 4.3 customer star rating, the battery remains the best you can get for your car, SUVs, pickups, vans, etc. Optima Batteries 8040-218 D35 YellowTop Dual Purpose Battery is ideal for dual purposes regarding high cranking density and top of the line cycling potential. It comes with a powerful start-up power for small boats and motors. It has also set a standard for constant performance at a very high reserve capacity.